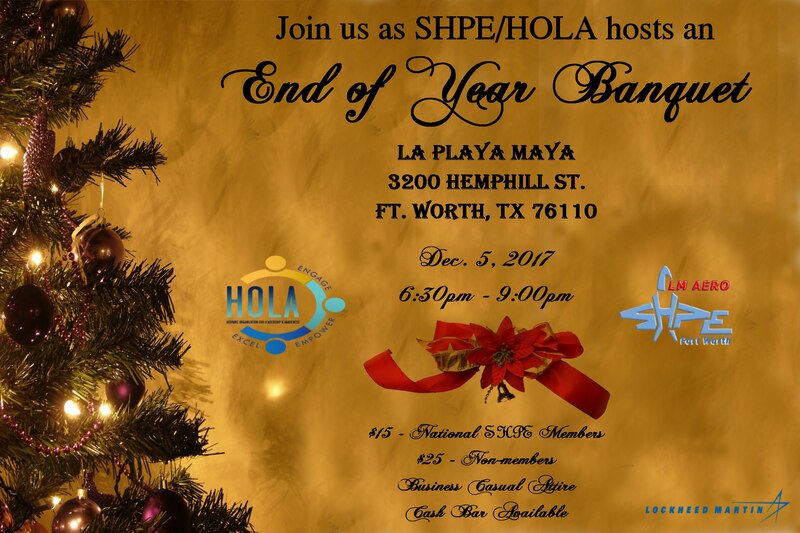 Join us as SHPE/HOLA hosts end of year banquet. December 5th, 2017 at La Playa Maya. Purchase your ticket via PayPal here.